This trio of woven pieces, has been successfully nominated for the Campaign for Wool’s online gallery. 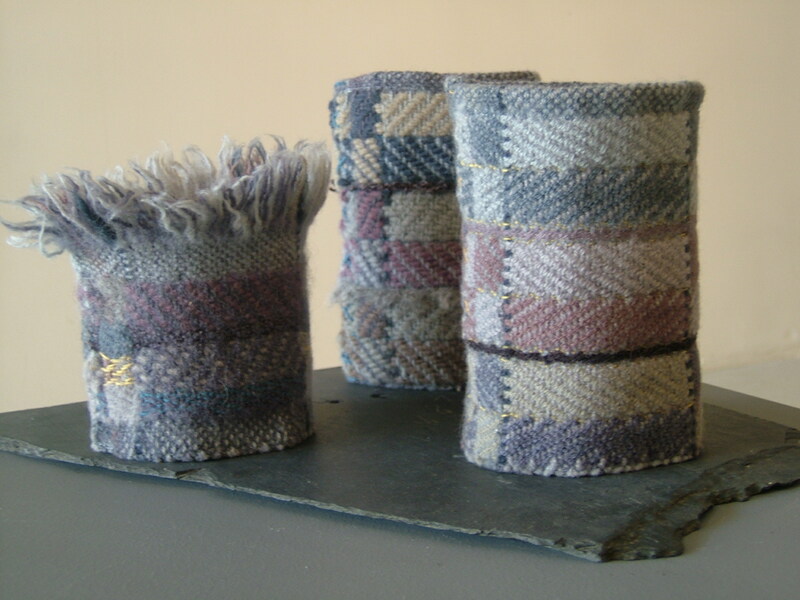 They are made from British Wool, dyed with natural dyes inspired by the colours of Welsh slate. The weave structure is two layer double-cloth and they have been subjected to ‘controlled’ felting. They were exhibited in conjunction with the International Felt Makers Conference held in Bath.